Twitter executive Carlos Monje, Jr. (left) was grilled by Senators about alleged censorship on the social media platform. 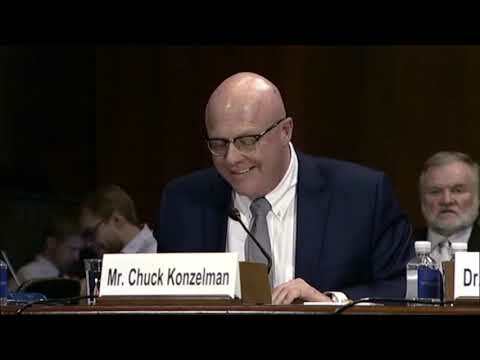 Later, Unplanned co-director Chuck Konzelman also testified at the U.S. Senate Subcommittee on the Constitution hearing. In a U.S. Senate subcommittee Wednesday, filmmakers behind the Abby Johnson biopic Unplanned presented “evidence of one-sided discrimination” on Twitter and Google. Currently in theaters, Unplanned portrays the story of an abortion clinic director who abruptly resigned after eight years working for Planned Parenthood. One day after its theatrical release, the movie’s Twitter account was inexplicably suspended for approximately an hour. Within days, Senator Ted Cruz, R.-Tex, called a hearing on the apparent incident of censorship. The Subcommittee on the Constitution hearing on “Stifling Free Speech” featured eight witnesses including Konzelman. 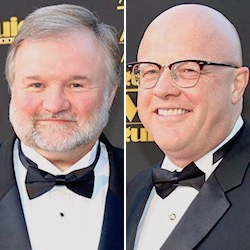 Committee members grilled executives from social media platforms Twitter and Facebook. They questioned the Unplanned Twitter blackout as well as suppression of pro-life content from Susan B. Anthony List. Some media outlets mocked the hearing, alleging it was based on “isolated cases” and a “conspiracy theory.” Konzelman told The Stream that the Senate has cause to examine whether these platforms silence diverse voices. The Twitter suspension was potentially damaging because it came “during our all-important first weekend of release,” said Konzelman. He explained in terms relevant to elected officials. “Opening weekend results determine the course of a film’s theatrical run,” he said. “In the recent instance regarding the account @UnplannedMovie, the account was caught in our automated systems used to detect ban evasion,” said Monje. With Unplanned co-director Cary Solomon seated behind him, Konzelman later responded. He altered his written statementafter Twitter’s explanation. Producers of Unplanned have also noted the incident has helped raise awareness of the film. Cruz questioned Twitter’s Monje about a graphic posted by the president of Susan B. Anthony List. The nonprofit group backs pro-life candidates and legislation. The graphic, featuring a quote from Mother Teresa, was blocked from being a promoted tweet. “It is fairly remarkable that Mother Teresa is now deemed hate speech,” said Cruz. Even after hours of testimony from Twitter and Facebook, Konzelman remained convinced that conservative content faces unequal treatment. Google, Facebook and Twitter have faced mounting charges of bias as their reach has grown. Facebook public policy director Neil Potts said its platform alone has one billion new posts daily. Globally, two billion people use Facebook every month. Founded in 1944 to combat censorship on radio airwaves, National Religious Broadcasters (NRB) now raises concerns of similar issues online. Their project Internet Freedom Watch chronicles dozens of incidents of viewpoint discrimination. Last month, a former Facebook employee provided documentation of bias on the platform. Specifically, certain conservative pages appeared to be tagged with a “deboost” code invisible to users. The Unplanned co-director offered details of which networks refused to run TV ads and censorship from Google, previously unreported. Their ads picture actress Ashley Bratcher with the film’s tagline: What She Saw Changed Everything. Konzelman offered insights into the film’s cultural impact. He spoke of how calls to And Then There Were None founded by Abby Johnson have increased since its release. The nonprofit group helps abortion clinic workers leave the abortion industry. Closing in on $14 million at the box office, Unplanned heads into its third weekend hoping to again outperform expectations. “Our second weekend was a little soft, but we’re only seeing a seven percent drop in theaters,” said the co-director. “We’ve had an uptick in awareness as the word gets out. The Washington Post was actually favorable to the film — my goodness, what world did I wake up in?